Independence Ammunition is loaded by the premier manufacturer for the Israeli military, IMI, to NATO specifications in premium brass with an “FC” head stamp. This brass is properly annealed, making it perfect for reloading after primer pocket swaging. Primers are crimped and sealed for dependable ignition in any weather. The taper crimp is centered in the bullet cannelure for reliable feeding in semi-automatic firearms. This is high quality ammunition at a great price, making it the perfect choice for target shooting, training or simply stocking up. This ammunition is new production, non-corrosive, in boxer-primed, reloadable brass cases. 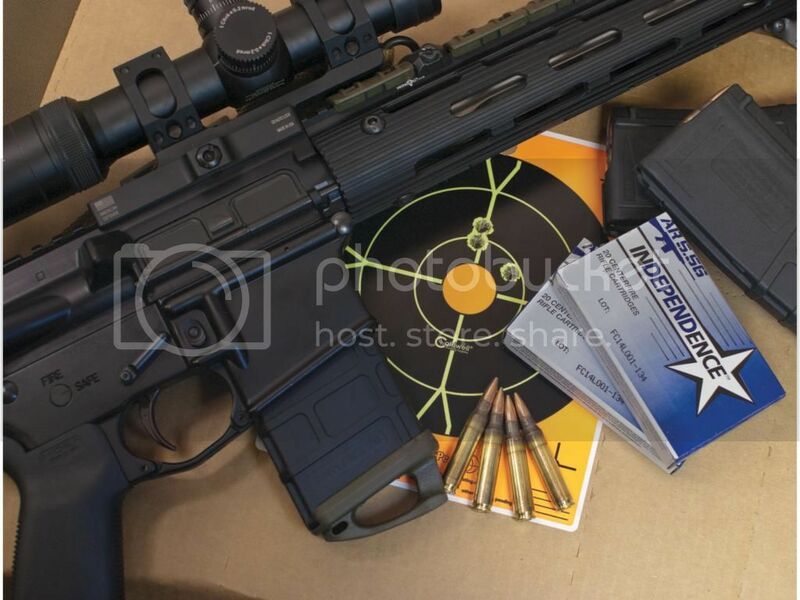 Please Note: While the 5.56x45mm NATO will fit in a 223 Remington chamber, the 5.56 is a military round that runs at higher pressures than its 223 counterpart and is not recommended to be fired in a 223 Remington chamber. •Muzzle Energy: 1223 ft. lbs. SHOOTER13 wrote: Ammo arrived today...2/6/15. I would appreciate if there is any update concerning the above. Because I get interest on how well it works. I wore no sword, but I carried a revolver, pocket knives, and bulls's-eye lantern. Welcome to the Ithaca Owners Forum Sheila Yates !! I ran 90 rounds ( three 30 round mags ) of the aforementioned ammo through my Olympic Arms M4 carbine offhand at 25 and 50 yards with great results. I've since bought 1,000 more rounds at the same price point...It is as good as advertised and would recommend it to anyone in the market for 5.56x45mm self defense or coyote hunting rounds.